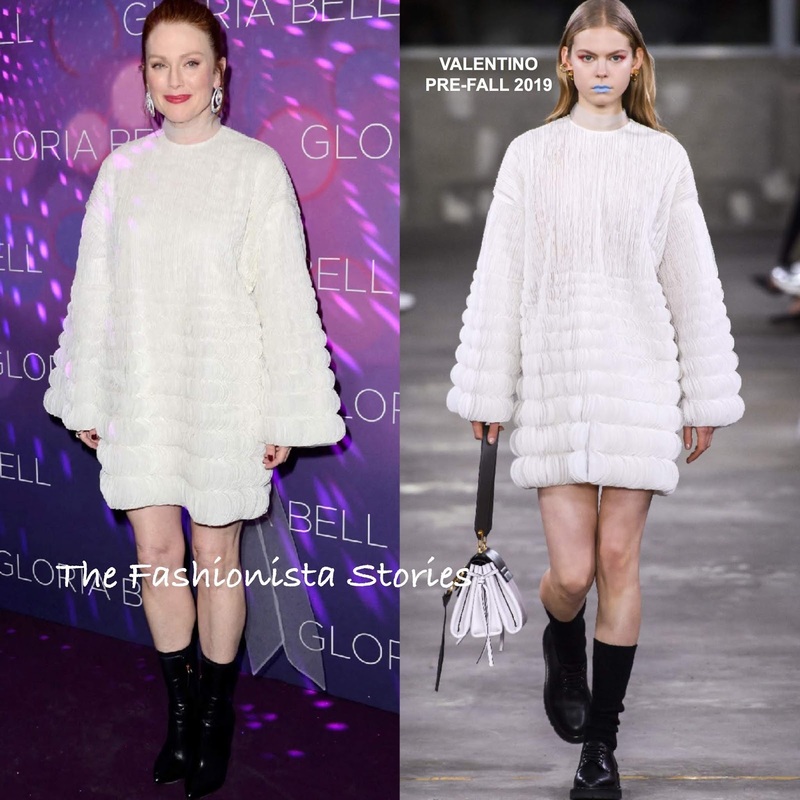 Back on the promo trail for her new film 'Gloria Bell', Julianne Moore attended the Paris Premiere yesterday(April 15th) at the Cinema Gaumont Opera Capucines. She showed some leg wearing a VALENTINO PRE-FALL 2019 white long sleeve circle organza dress, which stopped above her knees. Instead of wearing pumps or sandals, Julianne toughen up her feminine, statement dress with black ankle boots. Beauty wise, she kept things simple with a red lip and a ponytail which topped off her look along with statement earrings by CHOPARD.